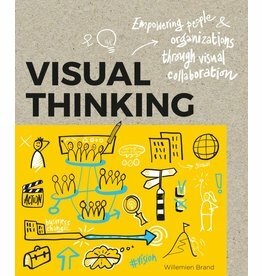 Sequel to Visual Thinking: Learn how to show and share your ideas in a fun, clear and compelling way so you can inspire, engage and activate yourself and others. 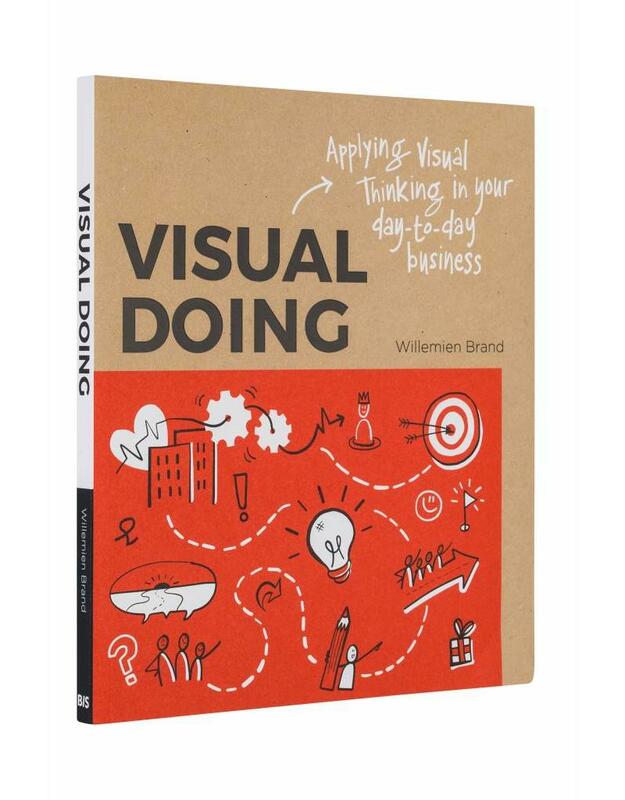 Visual thinking is important in today’s business settings. 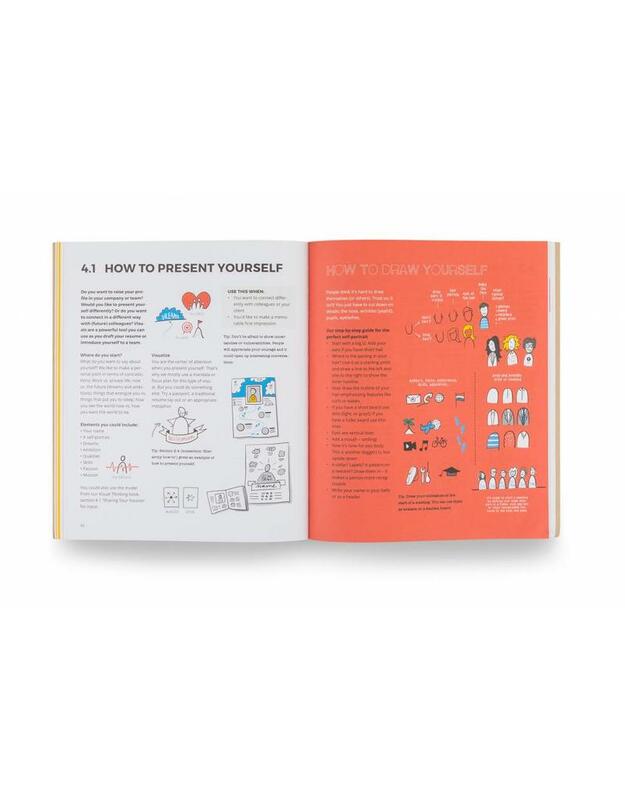 This book provides you the skills to develop your own style and teaches you how to generate change by integrating visual communication. 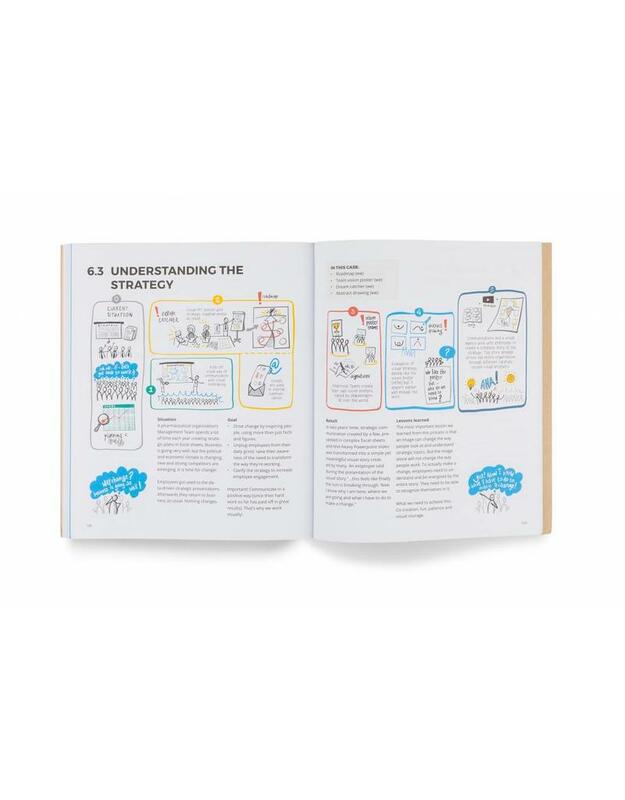 Create clear and compelling layouts; this workbook focusses on flipcharts and more complex drawings and how to tie together different elements. Drawing people and interactions, highlights simple ways of drawing people, emotions and interactions. Companies are changing and in order to adapt and keep up they need to be flexible and fast. This calls for new tools. 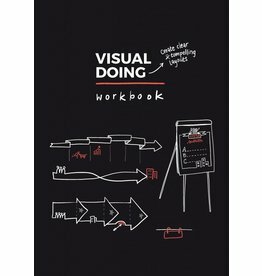 Visual Doing teaches you how to use these tools properly and will improve your visual craftsmanship and broaden your skillset. 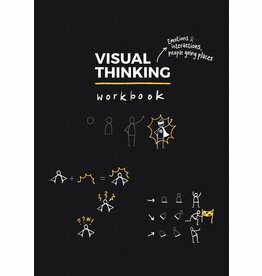 It’s a practical and accessible handbook for incorporating visual thinking into your daily business and communication, picking up where the previous book Visual Thinking left off. Visual Doing leads you through a new range of exercises, techniques and subjects which will help you to tell your own visual story by looking at these subjects from different perspectives: ‘me as an individual’, ‘we as a team’ and ‘us as a company.’ It helps you to clarify complex information, pitch innovative strategies and foster a visual culture within your organization. Willemien Brand has turned her passion for drawing and design into her life’s work. 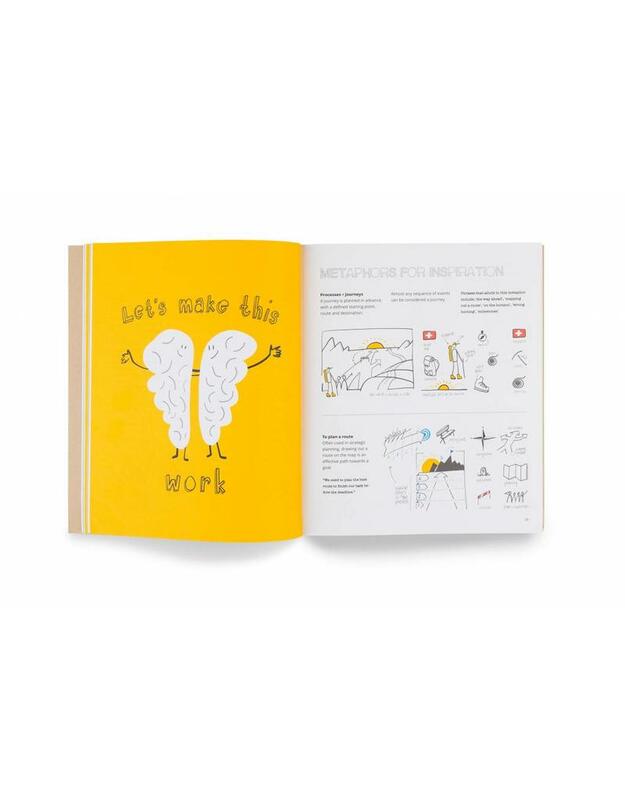 She graduated with distinction from the prestigious Design Academy in Eindhoven and enjoyed an award-winning career as an industrial designer with ATAG Keukentechniek before setting up the successful design studios Buro BRAND and BRAND Business. 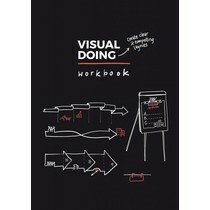 Scroll down for the Visual Doing + Workbook combination discount: € 26,- for both!